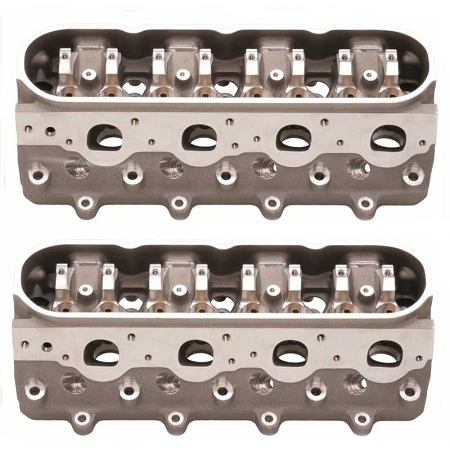 BRODIX delivers the industry's most durable replacement for the LS style cylinder heads with the introduction of the BR series. The BR 7 is an out-of-the-box version that comes standard with 71 cc combustion chambers, bowls blended, and intake ports matched. The STS BR 7 is a 100% CNC ported version that flows over 375 cfm. The BR 7 and the STS BR 7 both utilize a 12° valve angle and 2.204 / 1.614 valve combination. The STS BR 7 273 flows over 415 cfm with a 71 cc combustion chamber and 2.250 / 1.614 valves. The BR 7 series heads accept all standard LS components and share all of the legendary BRODIX features including: easily repairable A-356 virgin aluminum alloy and the strongest deck surface in the business. The price you see in the drop down is for a pair of heads, if you are looking for the heads with cnc porting choose STS from the drop down list.